Those in the homeschooling community are no strangers to the work of Hal & Melanie Young (does the book Raising Real Men ring a bell?) Branching out beyond raising godly children, the Youngs have written a terrific book entitled My Beloved and My Friend - How To Be Married To Your Best Friend Without Changing Spouses. 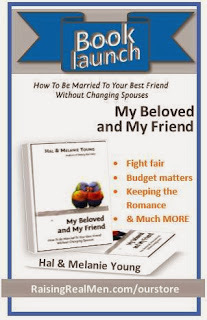 It's a great read for all married couples, and would make an excellent gift for those soon to become man and wife. But since I blog primarily to an audience of women who homeschool, let me speak to the reasons they should read My Beloved and My Friend. When you are a homeschooling mama, it is so unbelievably easy to become completely immersed in your children. Seriously, this is a problem within the homeschool community! It's a problem because the children begin to "take over" the marriage and their needs become priorities over those of our husbands. 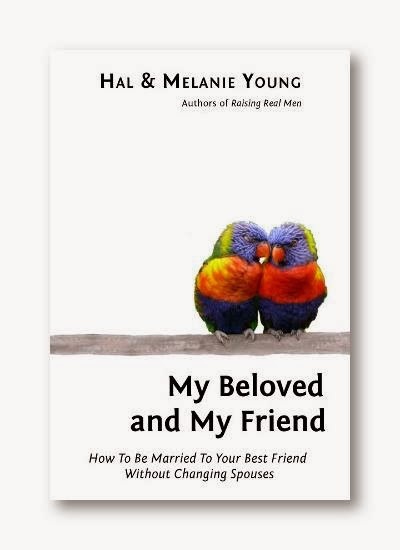 This book by Hal & Melanie Young helps put the marriage back in it's proper, God-ordained place. If you homeschool and you love your husband, then you ought to read this book. I'm not sure which topic covered in My Beloved and My Friend would qualify as my favorite; it's so full of good, solid, tried-and-true marriage advice I doubt I can pick one favorite section! For those who are engaged or newlyweds, "Leaving and Cleaving" holds pertinent counsel that will be of benefit for many years to come. For those who have been married for a while, "Being of One Mind" is a treasure trove of wise counsel gleaned from their 30 years together. There is truly something in this book for every married couple, and homeschooling women could make this a part of their "Mom Curriculum". The book is available at a pre-order price of just $12. If you think about the worth of your marriage, and then think about the price of this book, you'll quickly come to the conclusion that it's a very small price to pay for a resource that will so richly benefit your most important relationship (outside of your walk with the Lord, of course). I truly hope you will consider purchasing My Beloved and My Friend, and think of it as an investment that will pay tremendous dividends. Visit the website www.MyBelovedandMyFriend.com to buy the book or to learn more. I'll be sharing more about this book in the coming months, and I'd love to hear your thoughts on it! If you read the book, let me know what chapters most blessed and challenged you. I look forward to reading your comments. May you be richly blessed today as you homeschool for God's glory and seek to keep your marriage in it's proper, God-ordained place! I loved this book as well! Wish I could give every friend a copy!